After Rami Levy pulled out of a deal to keep Nof Tzion out of Arab hands, the Arab developer who lost the project is eyeing it. 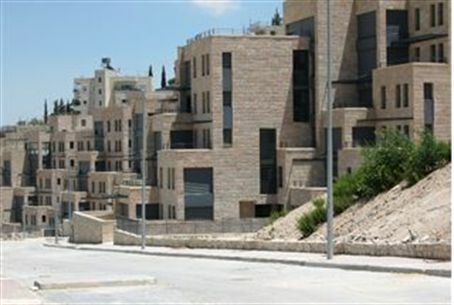 After Jerusalem supermarket owner Rami Levy pulled out of a deal to keep the Nof Tzion housing project in Jerusalem out of Arab hands, the Arab developer who almost took it over several months ago is eyeing the project again. According to a report on Tuesday in the Globes financial newspaper, American-Arab developer Bashar al-Masri said that he is examining the project in the wake of Levy’s cancellation. Levy acted several months ago to save the troubled project from being taken over by al-Masri, who was set to buy out the assets of the development initiated by Digal Investment and Holdings. News that the project for Jews in eastern Jerusalem was about to be bought out by a pro-Palestinian Authority investor prompted Levy to step into the breach. He and Australian Kevin Bermeister agreed to buy Digal’s assets, including Nof Tzion, for 123 million shekels ($35 million). Sources close to the company believe, however, that Levy and Bermeister have not yet given up on taking over the troubled company, and might acquire it by buying Digal’s bonds from Bank Leumi, its largest creditor.